Beaumont’s Nothing was one of the standout surprises of 2016, a debut effort that showed a band in tune with the more organic direction of Britrock, but with a knack for melody and passion that has withstood over a year later. The fact that so much in such a similar vein has come along since, and Beaumont have still remained memorable amongst them all, says a lot about this band’s potential, especially one so new and having only shown a fraction of what they have to offer. And even though they haven’t caught fire yet in the way they should have done, Honestly is indicative of a band for whom resting on their laurels isn’t an option. Even among a pair of EPs, there’s a clear arc of growth beginning to form for Beaumont, with a greater reliance on pop-rock tones and an overall brighter presentation that comes from frontman Spencer Edmonds’ slow but sure release from his own mental anguish. And while some of the pathos that made Nothing so gripping has been shaved away as a result, the capacity for standout songcraft has taken up any available space. There’s a few indie flickers to the guitars on Satellites and Rosemary, and the slightly more downcast Hurler and Runners High offer some solid changes of pace. Right now, Beaumont occupy the same alt-rock circle as a band like The Xcerts, specialising in massively accessible, pick-up-and-play material that avoids any gimmicks, but as a track like Dependent shows, with more definable texture to set them apart from waves of flat, boring Britrock. It’s analogous to Deaf Havana’s effort on All These Countless Nights earlier this year, using a familiar template as a basis, but actually building on it with storytelling and emotion that actually feels real, not manufactured to placate listeners for radio airtime. That album might have gone deeper in its explorations, but considering this is only an EP, Honestly is able to juggle that deeper introspection and earworm hooks to a similar high standard, albeit a touch less than its predecessor. Still, that’s hardly a detracting factor to what is another great little release from a band who are already leaps and bounds past where similar acts would be at this stage. Honestly mightn’t be as immediate as their previous EP, but Beaumont continue to remain on a streak of high quality, with just a bit more exposure needed to fully get the wheels in motion. As of now, Beaumont are in spitting distance of being among the best their scene has to offer. 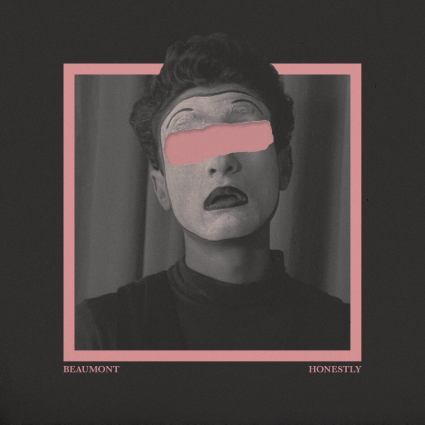 ‘Honestly’ by Beaumont is released on 15th September on Reclaim Music.